The perfect wedding gift. Wedding plates and tiles are hand personalized with the name of the groom, the maiden name of the bride and the date and place of the wedding ceremony. 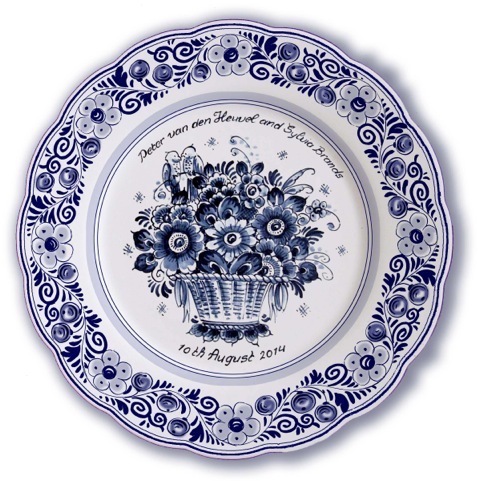 You can expect the same high quality matching delft blue color in the personalization text as you get in the plate itself. 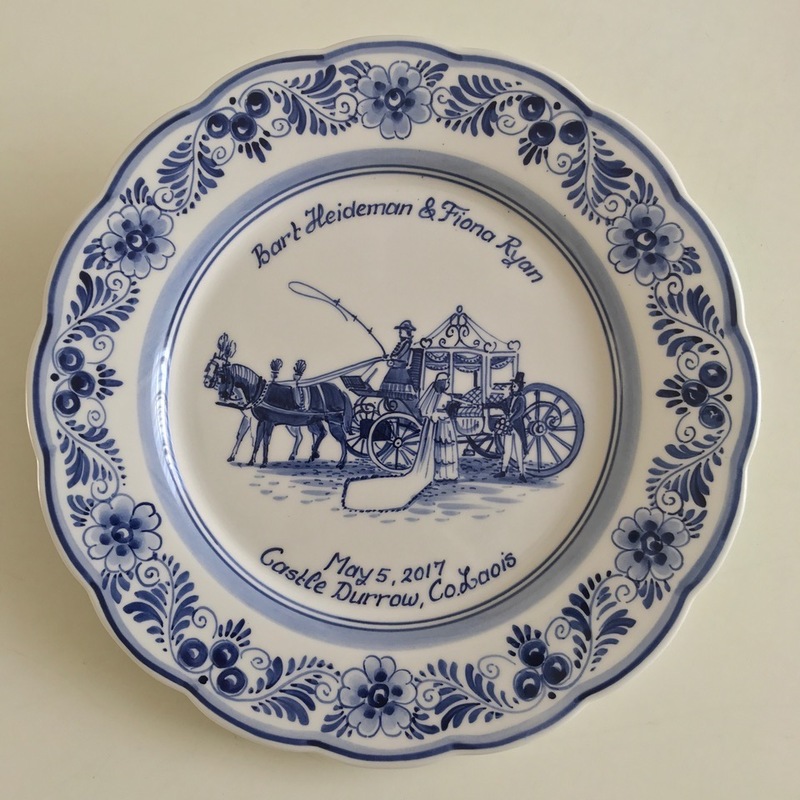 11 inch Delft Blue Horse and Carriage Wedding Plate - This is a beautiful fully hand painted plate featuring a horse and carriage taking away the bride and groom. Each plate is hand personalized with the groom's name, the bride's name, the wedding date, and the place of the wedding. Add a personal message on the back of the plate if you want. 11 inch Delft Blue Flower Basket Wedding Plate - This is a beautiful fully hand painted plate with a flower basket and love birds in the flowers. Each plate is hand personalized with the groom's name, the bride's name, the wedding date, and the place of the wedding. Add a personal message on the back of the plate if you want. 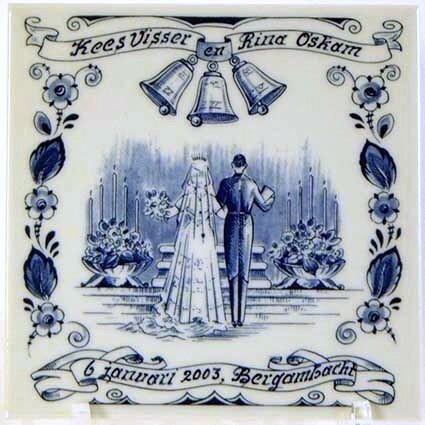 6 inch Delft Blue Wedding Tile. Classic deisgn with a bride and groom featured on the tile.